Michigan had a Constitutional Convention when politicians from around the state streamlined the way the state government operated in 1968. The new constitution eliminated the old Municipal Court and Justice of the Peace system and created the District Court to take their place. It also required that only licensed state lawyers could be elected to judicial positions. Prominent South Haven lawyer Donald Goodwillie was elected to the new court bench established at the time I was working as a news bureau reporter in that Michigan community. I had some experience covering Circuit Court cases in Paw Paw, the Van Buren County seat, when our bureau reporter there was on vacation. I also covered a major murder trial in Allegan County Circuit Court. But it was not until the South Haven District Court opened that I began regular court coverage. Under the new system, the District Court handled all misdemeanors and small claims in financial matters. Even serious felony cases first came through District Court. Preliminary hearings were offered each person charged with felony crimes to determine if the police had enough evidence for the case to be “bound over” into Circuit Court. This was a screening process designed to lighten the load of cases being funneled into the higher court. Consequently the District Court became a very active court and a place where newsworthy events were constantly happening. The Goodwillie family was among the more influential and respected in the community. Judge Goodwillie’s parents owned the mansion on the bluff overlooking Lake Michigan that a real estate agent once told us was valued at a million dollars. That was a costly home in Michigan in the 1960s. When he ran for the District Court position, Donald Goodwillie and I got to know one another well. As a judge, I found him to be both wise and fair in his deliberations. That is why it was a significant news event the day Judge Goodwillie announced that he had just seen a UFO fly over his house. That was a time when there had been a lot of sightings of unexplained lights in the skies over Michigan and reports were making their way into the newspapers everywhere. It was in 1966 that sightings in Washtenaw County, in the Southeastern part of the state, became the infamous “swamp gas” case after Dr. J. Allen Hynek, a well known UFO investigator wrote off the sightings during an investigation for the Air Force Project Blue Book. Hynek later recanted that report. I don’t remember just how I got word that Judge Goodwillie had seen a UFO. When I contacted him, the judge asked me to come to his home located on the north side of South Haven on the night of his sighting. When I got there I found him in an excited state. He said he worried that people were going to think he was crazy, but wanted to tell somebody what he saw. I thought it strange that he would pick a newspaper reporter to tell it to, however. But then we were friends and I think he trusted me more than feared when I might do with the information. This was a time when people who claimed to see strange flying saucers in the sky were deemed somewhat loony. For a man of Judge Goodwillie's stature to say it was almost unheard of. Even professional airline pilots were staying mum for fear of losing their jobs. 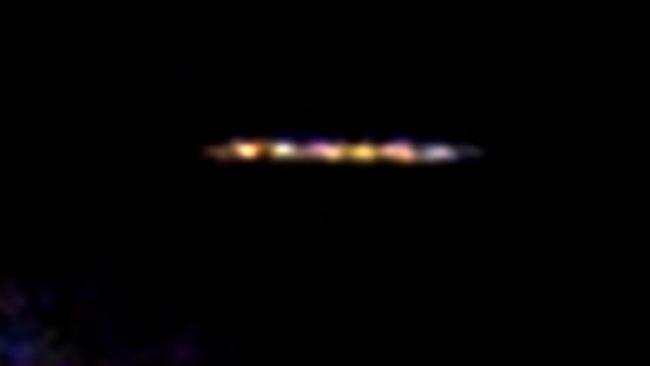 He said he was out in his yard and observed a long, very large tube-shaped object, with bright colored lights glowing from end-to-end glide slowly and silently over his house. He said there was absolutely no sound. The thing just floated over him like a giant balloon then flew off into the horizon. Judge Goodwillie said he called the Michigan State Police and at least one officer arrived in time to observe the object. Without that police report to back him up, I wonder if Goodwillie would have told anyone this story. What was significant was that two skilled and professional observers, a District Judge and long-time practicing lawyer, and a Michigan State trooper, both said they saw this cigar-shaped object with flashing lights in the sky over South Haven that night. After my story appeared, people all over town gathered, often along the shoreline, to gaze for hours into the skies on the chance that they, too, would see what Judge Goodwillie saw. There were no more sightings after that. As far as I know, no one in the area ever expressed doubt that the judge saw what he said he saw.